MANILA, Philippines - June 2018 - Calling all fearless Filipinas - it’s time to join the confidence movement, by embracing and expressing beauty according to one’s own terms. By fusing the science and art of beauty, women can have a better grasp of the possibilities they face. Stepping up to this is Menarini, Italy’s largest bio-pharmaceutical company with more than 130 years of medical experience, which has developed a revolutionary new approach to medical aesthetics. 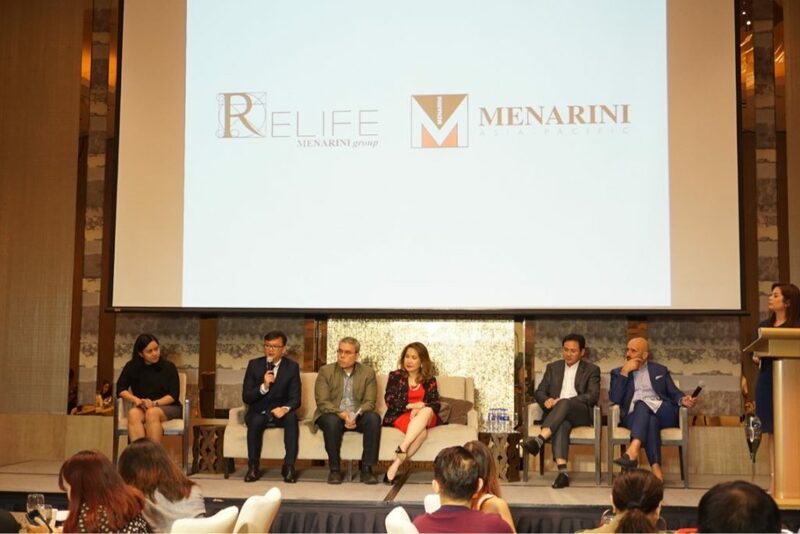 They took to heart the innovation and insights that bring life to the confidence movement, and the Menarini Group eventually launched RELIFE, a new worldwide company that specialises in dermatology and aesthetic medicine. With its global headquarters in Florence, Italy; the cradle of the Renaissance; RELIFE draws on its dual scientific and artistic heritage to create beauty. Its science-based products and treatment protocols reflect its scientific heritage while the company’s concept of conscious innovation embodies its artistic heritage. “Gone are the days when women are ashamed or afraid to try new products and even cosmetic procedures. Filipinas are very particular about how they look, and they want to be sure that they go for the best especially when it comes to their body.” says Menarini Group’s Medical Affairs Doctor, Dr. Grace Nilo. 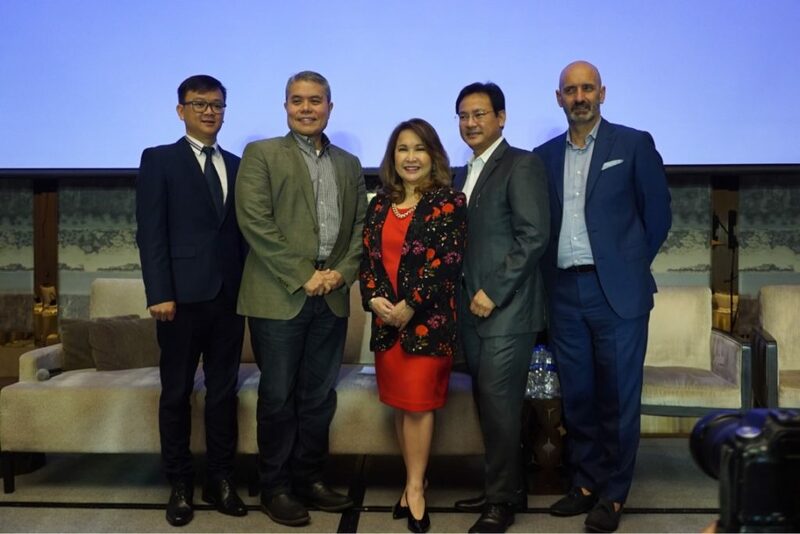 “Now that the Menarini Group has arrived in the Philippines, we’re here to provide revolutionary aesthetic medicine that will empower people to be the most beautiful and confident versions of themselves”. Happy Lift is a patented line of absorbable, monofilament, suspension barbed threads designed to lift and hold soft and/or sagging facial tissues for a refreshed look and more defined facial contours. Happy Lift is made of unique materials poly-L-lactic acid and caprolactone. Unlike some conventional sutures which are smooth, Happy Lift threads have tiny barbs. Once inserted into the skin, these tiny barbs stimulate the fibroblasts to synthesize the extracellular matrix and collagen in the skin that act as scaffolding to lift and hold soft facial tissues in place, giving longer-lasting results than most other kinds of sutures. As RELIFE begins its launch in six key Asia-Pacific markets this year, they have commissioned a series of seven paintings called the Masterpieces of Beauty by a rising star in the Asian art world, Monica Hapsari. All the paintings will incorporate Asian perceptions of beauty tastefully combined with the Renaissance concepts of science and art. At the end of each of the i-DASS launch events in Hong Kong, Singapore, Malaysia, Indonesia, Thailand, and the Philippines, all the paintings from the Masterpieces of Beauty series will be auctioned off with the proceeds going to Smile Train, a global alliance of charities working together to share beauty and happiness by giving children with cleft lip and cleft palate back their smiles and confidence.